We’ve got a fantastic discount offer and there are also 5 pairs of tickets to give away to you, our lucky customers! If you're looking for some ideas for fun family days out, then look no further. 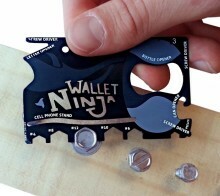 ​9 great gift ideas for the hard-to-buy-for man in your life! Information, discounted tickets and competition. Black Friday has arrived and we've teamed-up with Ashleigh Money Saver to bring you the best of the deals and offers so you don’t miss out. It’s Father’s Day this Sunday (19 June) and if you’re looking for an amazing present to get you in your dad’s good books, check these out. 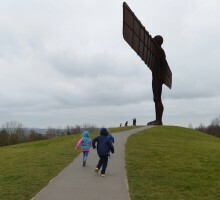 ​If you’re looking for something brilliant to do this weekend that won’t break the bank – how about joining in the spectacular May Day celebrations at Beamish? If you get the bus there, or have a key card, you get a whopping 25% off the admission price. We've got a family ticket up for grabs to see Impossible at Sunderland Empire on Tuesday 23 February. 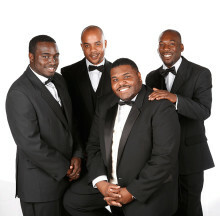 We've got a pair of tickets up for grabs to see The Drifters this Valentine's Day! NE1's Newcastle Restaurant Week is back, running until 24 January and there's some great offers to be had.